My daughter feeling like a real model. 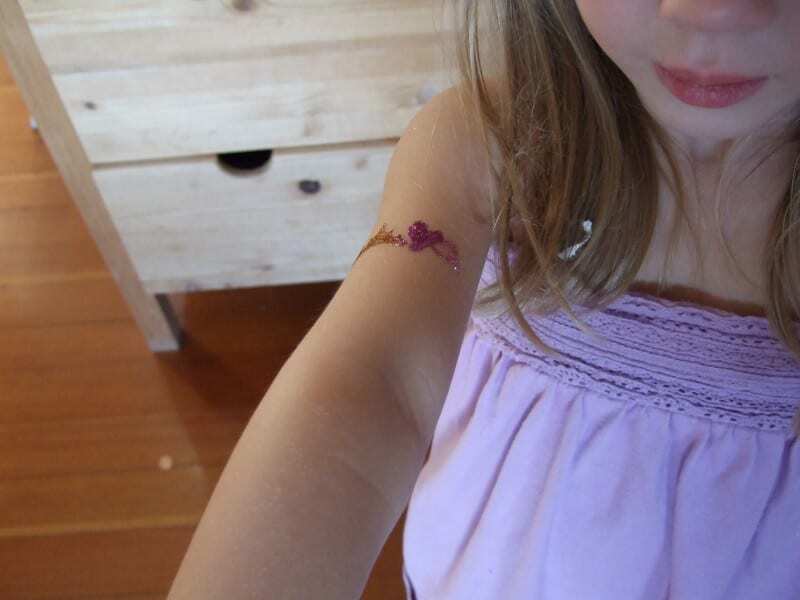 I first saw glitter tattoos at the Egyptology 8th Birthday Nicole W threw for her daughter. 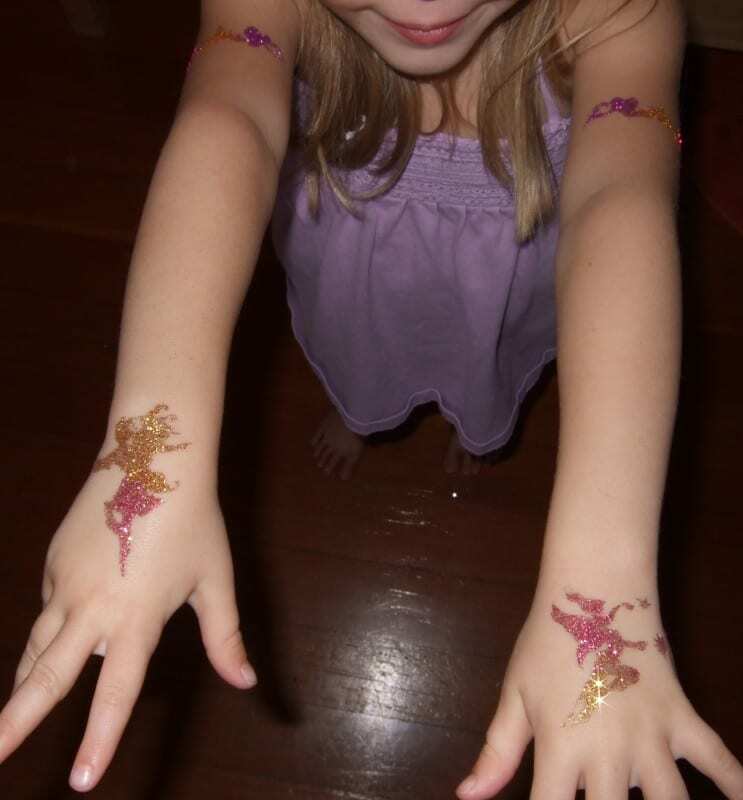 For party favors, Nicole applied glitter tattoos to her guests. I thought they looked cool, but didn't quite get how they worked. Then I read Nicole's blog post, where she described the process and explained where to buy everything. 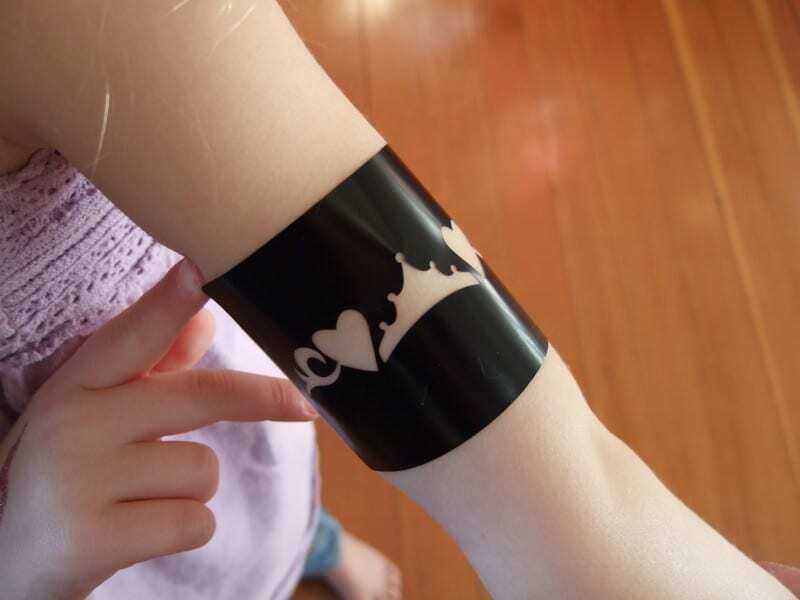 So to try it out, I ordered this set from Glimmer Body Art for my daughter for Christmas. 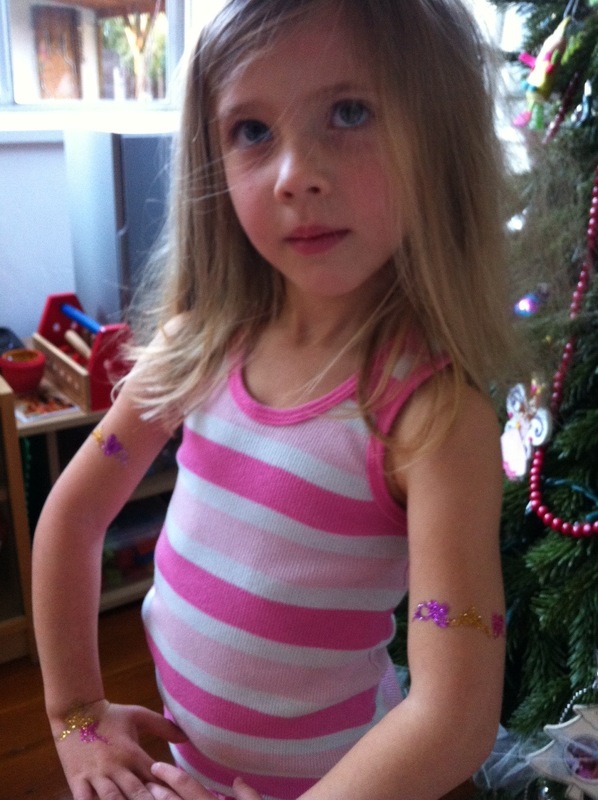 Well, yesterday was Christmas, and those glitter tattoos were such a hit. 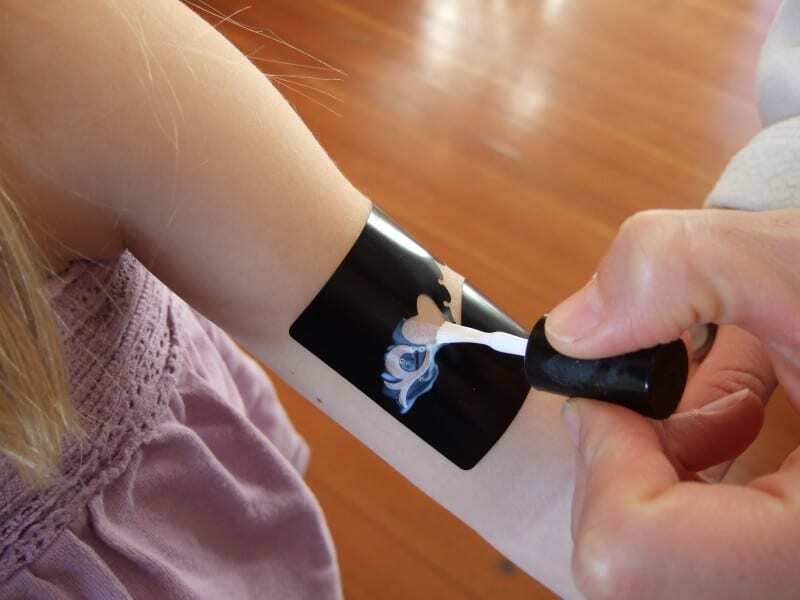 By the end of the day, my daughter had two tattoos, I had one, her aunt had one, and even her grandmother had one. They look amazing, and are easy to apply. So in case you're wondering how to do it, here's a simple tutorial. Pick out your self-adhesive stencil (this one came in the kit I bought, but you can buy them in every possible theme from Glimmer Body Art or Faketoos). 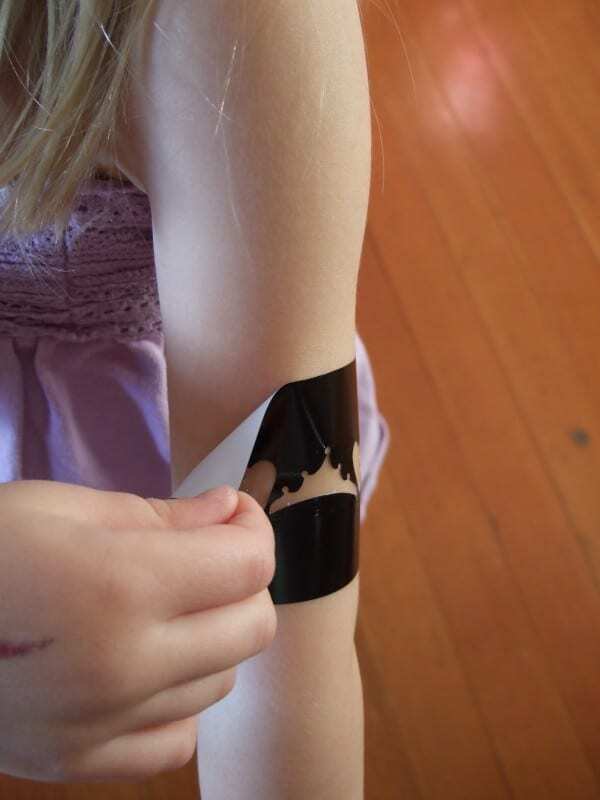 Remove the backing so it's sticky, and place it where you'd like the tattoo. Let the glue dry until it's almost clear, then remove the stencil. 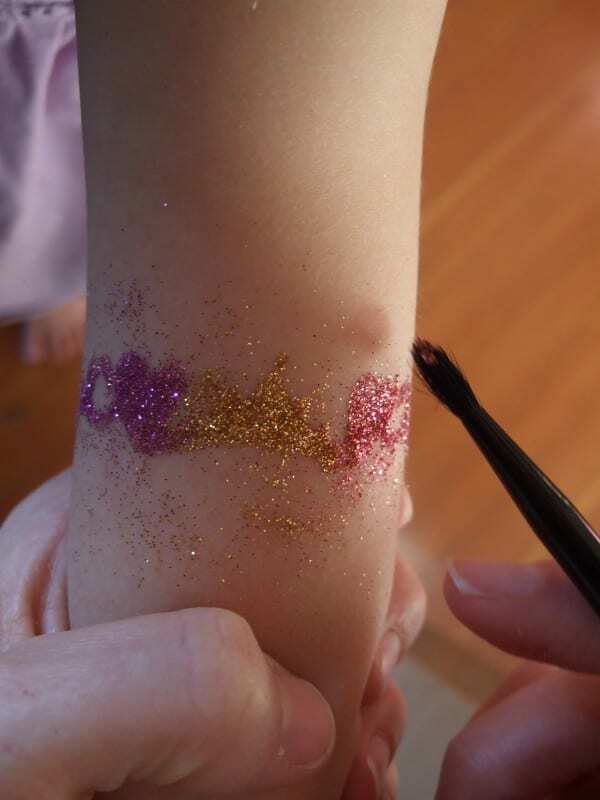 Using a small brush, apply the glitter generously over where you placed the glue. It's easy to use a variety of colors, they blend nicely. 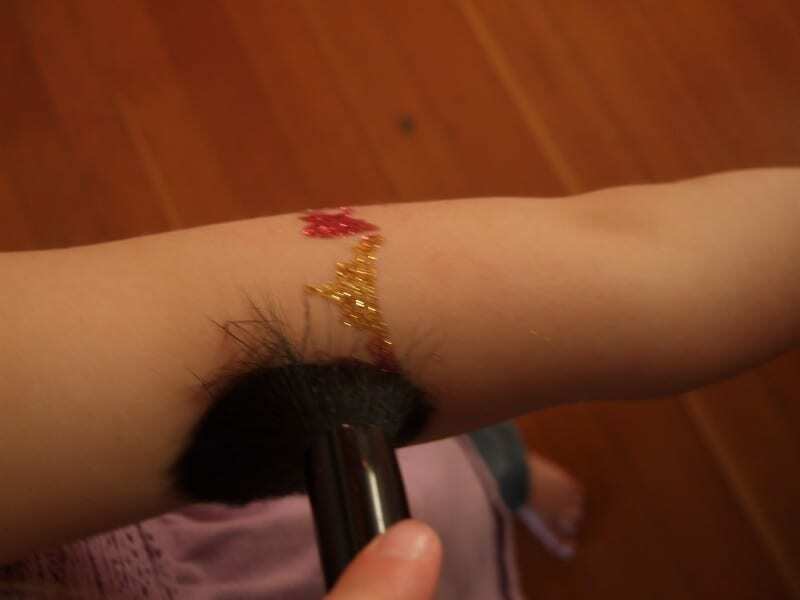 Use a big brush (like a blush brush) to remove the extra glitter. And what you are left with is an awesome sparkly glitter tattoo! 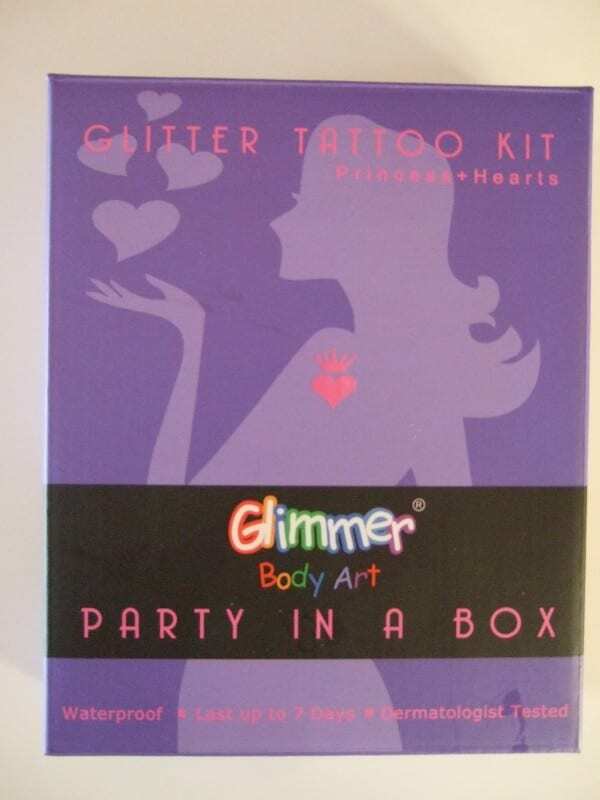 Here's what the Glimmer Body Art kit looks like that I ordered. 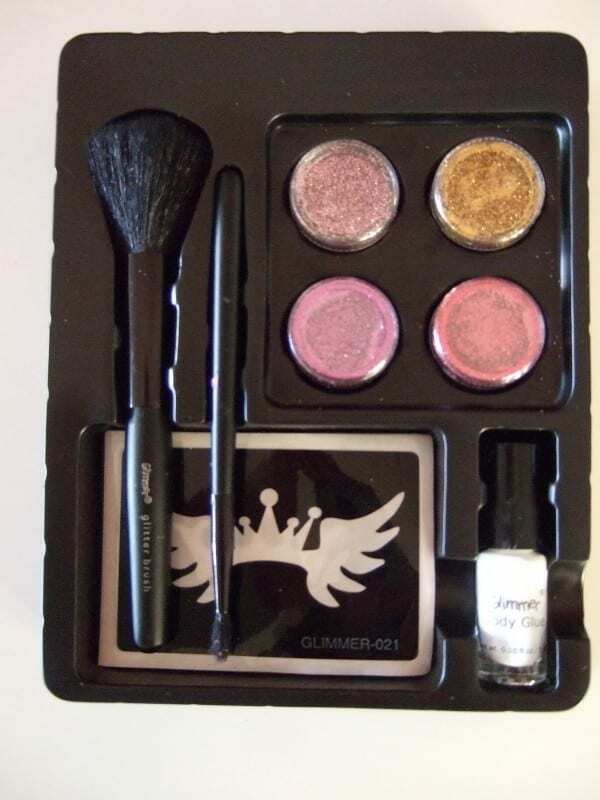 The kit comes with: 12 self-adhesive stencils, 4 containers of glitter, two brushes, and a bottle of body glue. 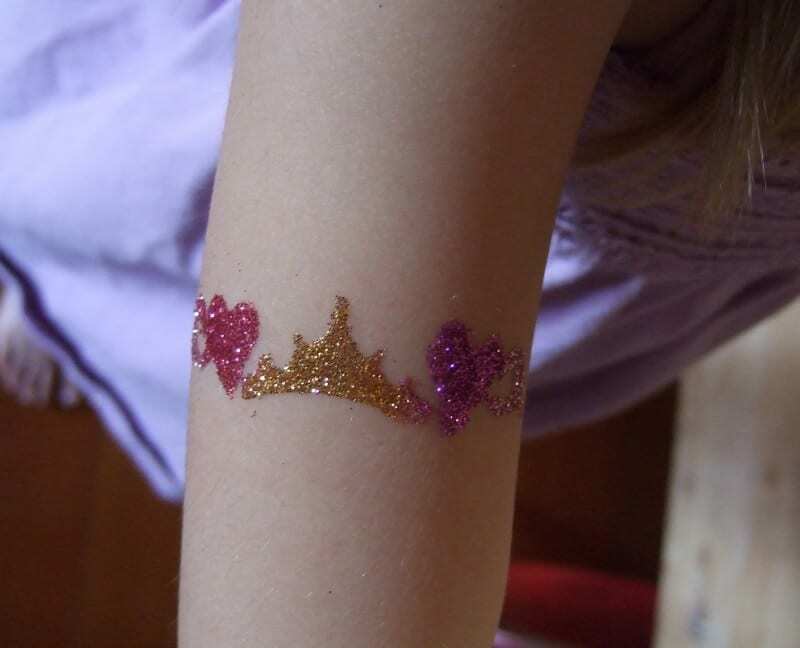 If I were buying glitter tattoos to do at a party (which I think it a fantastic idea! ), I would definitely buy the pieces separately like Nicole did, but since we were just starting out, a kit was perfect. In fact, this will be my go-to birthday gift for all of my daughter's friends. You know, I never even thought of buying the kits as birthday gifts, but you're so right, they'd be absolutely perfect! !